Sophisticated cool elegance with a contemporary flavour! 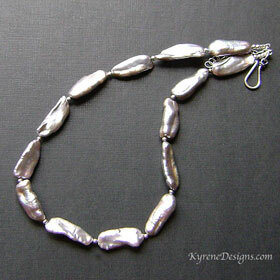 Fabulous luxury 'Biwa' pearls look just like molten silver. Works perfectly with that city suit, as well as with your day and evening wear. 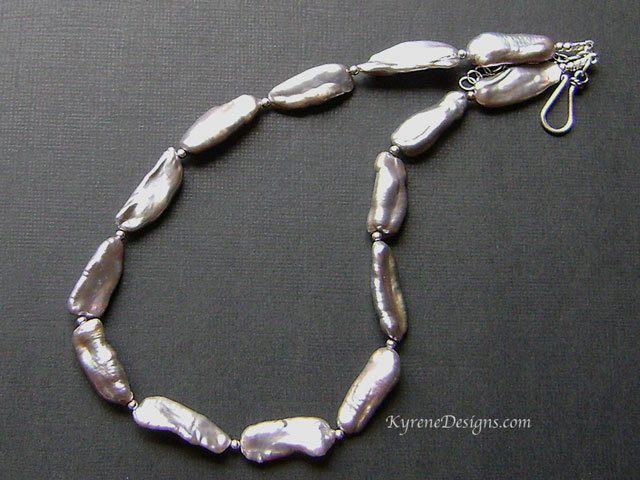 With tarnish resistant argentium sterling silver between pearls for easy care. Length: 18 inches. Pearl 20mm, permanently dyed. Easy to use sterling silver hook clasp, plus 2" extender. View our materials page for information on low-tarnish argentium silver.